Six years ago, Adam Berresford conducted tours of wineries and other venues around Adelaide. Yet he had no bus and there was no detailed itinerary. In fact, he didn't even have any passengers alongside him. This might sound like the beginning of a riddle, or the sad travails of a hopeless but optimistic tour guide, but it's not. Instead, his business, Adelaide itour, offered tours with a difference: virtual tours of wineries and restaurants so guests could examine them before visiting. Each featured a 360 degree shot that prospective customers could view at home to gain the impression of walking through the venue. After filming numerous winery locations and taking on a weekend bus driving job for his friend’s bus company, Adam discovered that there was a limited number of dedicated winery tour companies in Adelaide. There were companies that offered buses and bus drivers, but very few businesses that offered a tour guide that had knowledge of the tour area. So he decided to fill the gap in the market and began offering winery tours to locations such as the Adelaide Hills, McLaren Vale and Barossa Valley for groups big and large. These expeditions to some of South Australia’s famous grape regions proved so popular he had to expand and employ more tour guides almost instantly. Working within the beverage industry, Adam acquired a taste for more than just fine wine and longed for the day that he could take his passengers to craft breweries as well. 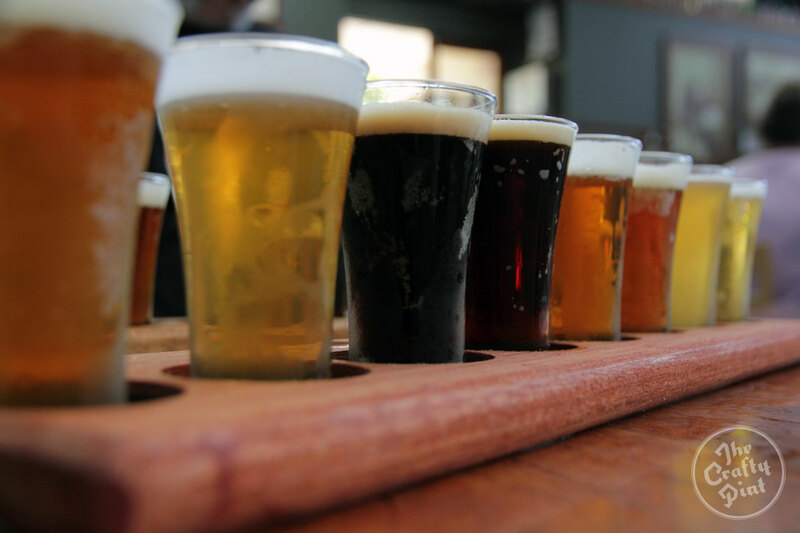 At the time, Lobethal Bierhaus and Grumpy’s Brewhaus were the only two venues in operation that were available for beer paddle tastings. 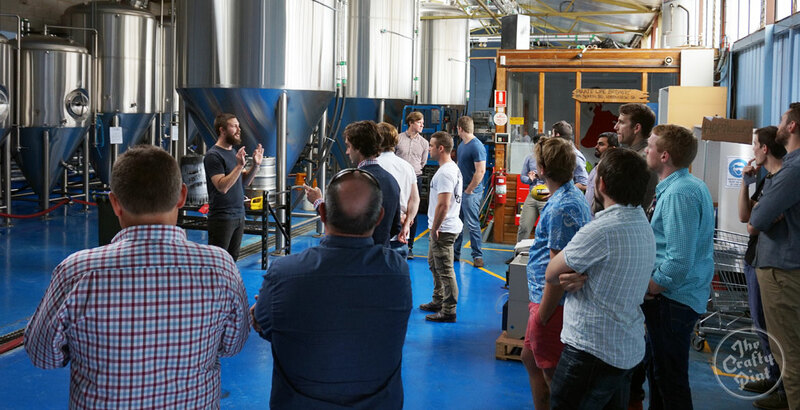 What's more, with the current explosion of the South Australian craft beer scene yet to spark, customers didn’t want to indulge in a brewery tour. A tasting paddle at Lobethal Bierhaus in the Adelaide Hills. Fast forward to 2016, however, and you'll find Adam and his host of tour guides conducting up to 15 tours over a single weekend. 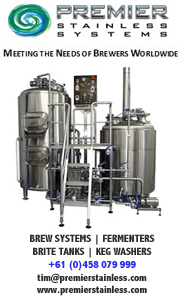 Indeed, the demand to venture into breweries now outweighs the demand for wineries. “Some tours are totally craft brewery tours, some are still just winery tours and some are bit of both,” says Adam. Unlike many other bus companies, the Adelaide itour buses are all licensed so passengers can sample beers from the breweries they visit, something that can make the 90 minute drive to the Barossa Valley a little more entertaining. And such has been the change across Adelaide and South Australia that guests don't have to venture out of the city; one suggested itinerary involves spending the morning at Pirate Life’s brewery and the Palais Distribution Co's tasting rooms before being whipped away to Big Shed Brewing Concern for lunch and finishing the afternoon at Little Bang Brewing and Brewboys. 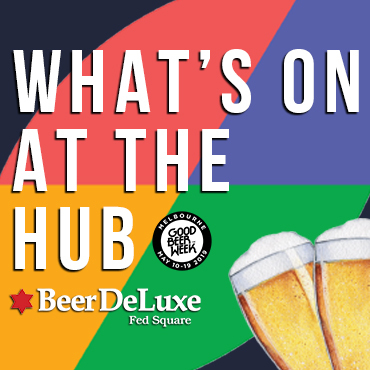 Other regions on the hit list are McLaren Vale, Barossa Valley, Adelaide Hills, Clare Valley and the Fleurieu Peninsula, all of which can offer both wine and beer these days. With Good Beer Week and GABS set to welcome hundreds of international and interstate guests to Melbourne in a few weeks, the success of such festivals and beer tour businesses like Adam's across the country is a sign of just how significant beer tourism is becoming to many regions of Australia. And in Adam's case – both on a personal and professional level – it's a sign of how a passion for wine can be turned into one for beer, at least when it's good and crafty. For more on Adam's tours, check out his website.